Silver has been considered to be a valuable precious metal worth investing in and has been mined for five thousand years or more. Geologists found that for every ounce of gold in the earth’s crust, there are 17 ounces of silver. Yet, the price parity between gold and silver is altogether different and currently stands at approximately 75:1. That means it takes nearly 75 ounces of silver to buy a single ounce of gold. While this may seem like the scales are tipping in favour of gold, in reality, it’s one of the reasons that silver appears attractive to investors who want to invest in precious metals but have limited funds to do so. So, if you think that adding silver to your investment portfolio is a good idea, then read on. The price at which silver is bought or sold is called the “spot price.” Since this precious metal is traded round the clock on every major market exchange around the world, a ‘live’ price of silver is always available. The centres of silver trade today are in London and the New York Mercantile Exchange (NYME). The NYME has a division called COMEX and the spot price is determined by COMEX. There are two prices to consider when purchasing silver – bid price and the ask price. The bid price reflects the highest offer and the lowest offer is the ask price. However, in markets today, real supply and demand aren’t required to affect the spot price. Shifts in global currency values, rising and falling interest rates and inflation levels all have their influences on the price of silver. not so long ago, the price of silver was $30.60 per ounce. When we see the cycle of movement in spot prices of silver, we can see 5-year swings that go up or down. The price of silver per ounce doubled during the period 2006-2010. A close look at the chart below tells us the story of silver prices over the last 15 years since 2002. It is apparent from the chart that silver has clearly had more good years than bad. Infact, it was only 2013 – 2015 that silver took a beating and closed lower than it’s previous years percentage annual change in prices. We can see this trend repeat consecutively over these three years. The greatest fall year in 15 years is 2013, where silver fell a whopping 35.9%, followed by annual falls of 19.6% and 11.5% over 2014 and 2015 respectively. The two other years of decline were 2008 and 2011. 2008 was, of course, the great global market crash with the financial crisis spreading rapidly across the world. 2011 registered a fall of 10.2%, owing to a market correction. The previous year had seen US investors investing heavily in gold and silver to hedge against the rapid fall in the dollar’s buying power. So, when they dumped their positions in precious metals the following year, the prices crashed. In fact, when we correlate by looking at the chart below, we see that the price of silver rose in 2010 by 83%, the single highest rise in 15 years. Interestingly, the fall in prices in 2013 saw a surge in fabrication and coin demand. Global demand for silver coins went up to 136 mn ounces in 2013, compared to 105.9 mn in 2012, while fabrication demand rose 6.3% to 865.8 mn ounces in 2013. In summary, silver prices have been through 11 good years over the last 16 years and risen at an average of 12.4% over this period. It remains a great choice as an asset class when included within a diversified portfolio with a long-term view. If you’re considering adding silver to your investment portfolio, you can benefit hugely from a wide range of advice that’s available on our website. 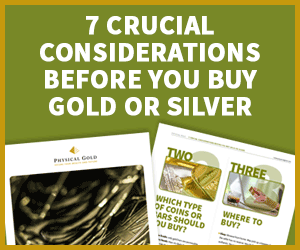 Our gold and silver buying guide can guide you on how to invest in silver bullion. You can also find out the latest industry news, read articles from experts and find out more about the history of this precious metal. Maybe you’re interested in investing in precious metals as part of your investment portfolio. Or perhaps you’re a gold and silver coin enthusiast, or just someone who’s curious about precious metals and wants to know a bit more. Well, you’ve come to the right place. Our team of experts can guide you through your purchases in our online shop. If you just need to speak to us, we’re a phone call away. Simply dial 020 7060 9992 or email us right here.